Since 1946, the Anchorage Symphony Orchestra has matured from a small community orchestra to an exuberant and dedicated core of musicians, influencing the musical and artistic standards of symphonic music performance and education throughout our community and our state. 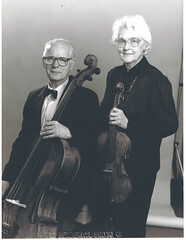 ASO HistoryThe Anchorage Symphony Orchestra was first formed in 1946 when seventeen local musicians, both amateur and professional, began meeting once a week to share their interest and enthusiasm for creating an organized community orchestra. © Copyright 2019, The Alaska Community Foundation. All Rights Reserved.